Accreditable. Adjective. 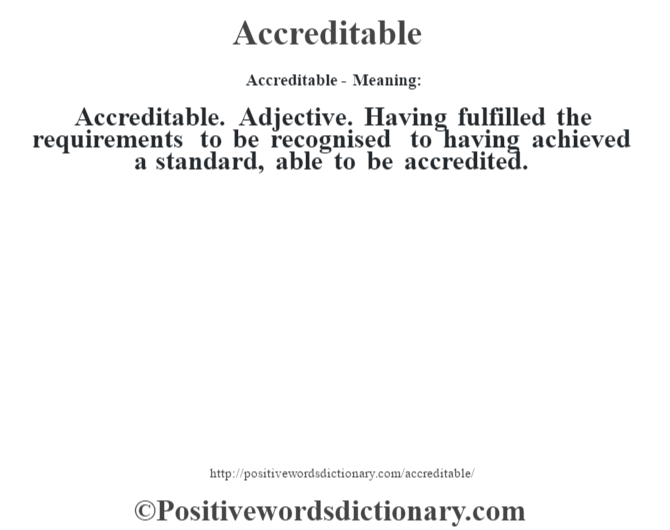 Having fulfilled the requirements to be recognised to having achieved a standard, able to be accredited.